Abby and Kyle are getting married on Saturday!! It was so great to walk around their neighborhood for some pre-wedding pictures! They have known each other since they were kids, they went to grade school together. Kyle has always had a crush on Abby but they didn’t get together until after college. Abby had some tickets to a game and put it out into the facebook world, Kyle responded and the rest is history! They are an adorable pair. I’m so excited to see them in a few days. I’m going to sound like a broken record soon, but again I love watching these families grow! I was very close with Gina’s class when they went through Drexel, I’ve had the privilege of documenting many of their life’s milestones! This one is pretty special too. Meet baby Luke! He was just three weeks old for our shoot. He gave us a little scare being on the fussy end at the beginning but mom and dad worked their magic and we had a great session! It was so great to see you guys and watch your family grow! 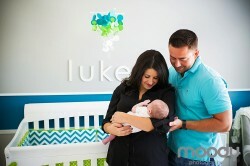 Baby Luke from JoyMoody on Vimeo. Trish and Pro are a fun, smart and not to mention beautiful couple. 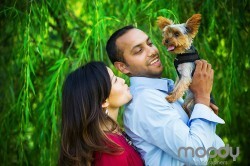 We had a lot of laughs, mostly at Pro’s expense, and their dog Carlton of course took center stage. We chose Conshohocken since that was where it all began for these two. You’d never guess we did half of our shoot in a parking lot, would you? The walking path along the river turned out to be gorgeous and I really felt I was in Florida and not outside of Philly. 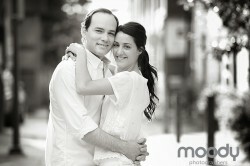 We get to see these two pretty soon, they are getting hitched in one month! Its going to be quite the celebration! I can’t wait. I photographed Peg and Steve’s wedding in 2011 and at that time was introduced to their already amazing family. Since then we photographed Peg’s brothers wedding this summer and now documenting the first grand-baby! This is truly the thing I live for. Life’s important milestones and the relationships that are built from them. I’m so happy for you guys! It was a special thing to do these first family photos for you! Charlie is an awesome little dude! Baby Charlie from JoyMoody on Vimeo.